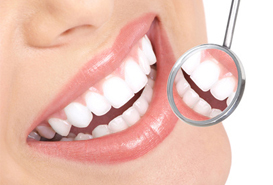 Each Healthspring Dental Centre is fully equipped with most modern dental amenities which enables our expert team to routinely and efficiently implement the most up-to-date dental technology for treating patients. Our Intra-oral camera facilities help show patient the before and after-treatment photographs and help maintain records. We also ensure safe and strictly hygienic conditions to all our patients as each centre is fully equipped with the most efficient sterilizing equipment for all our instruments. Each patient is treated with a completely sterilized and sealed set of instruments for each procedure. We also only use the best quality of imported dental materials for procedures such as filling, impressions, dentures, crowns, bridges and root canals right from Composites, Ceramics and high imported quality denture materials.